Acer makes quality products and their laptops arent lacking either. 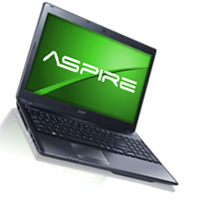 The AS5755 is another kind of basic laptop that fits the mold of some of the ones listed above in this list. It has an i3 processor, 4GB DDR3 RAM, 500GB 5400RPM Hard Drive, 15”6 inch screen with Intel HD Graphics 3000. Running on Windows 7 HP you will get around 4 hours battery life. This laptop also has 3 USB 2.0 ports and weighs around 5.75lbs. It’s nothing a special, a slightly better than minimum laptop that will make you complete school work faster than ever.